Nepal is a land of eternal fascination, a place where the ice-cold mountains meet the steaming heat of the Indian plains. It's a land of acient history, colourful cultures, superb scenery and some of the best treking on earth! I am Prem, the founder of Adventure Samsara. I first established my organisation and website in 2006, although before that I had been providing trekking, touring, and nature guiding services, largely in a freelance capacity, since the mid-90s. Since founding Adventure Samsara I have had the pleasure of personally providing a number of very memorable tours and treks to my travelling clients. In mid-2010, after much careful thought, I decide to take the next step and invite a few of my best trekking colleagues and friends to join my organisation. By expanding my team I now have more resources and am able to draw upon each of my colleagues specialised knowledge and expertise to provide a better and more comprehensive trekking and touring service. From trekking in the highest Himalayas to tropical Wildlife Safaris and Birding, we are well equipped with knowledge and enthusiasm to provide you with a unique and memorable travelling experience. Importantly, we consider ourselves 'bridges across cultures' and we have many cross-cultural Himalayan anecdotes and stories to share with you. 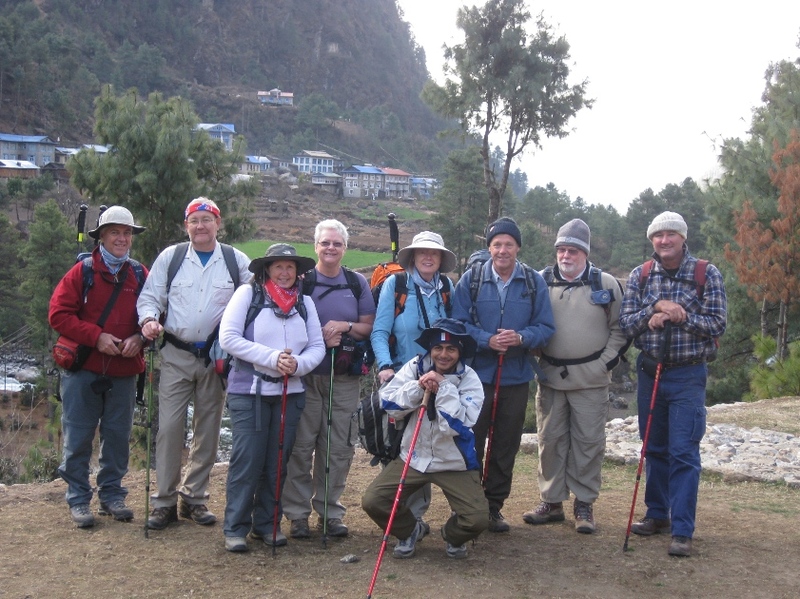 We are able to offer trekking and tour information in the following areas: Trekking in the Himalayas, Wildlife Safaris, Birding Treks & Tours, Cultural & Spiritual Tours, City Sightseeing Tours and Retreats. Our primary goal is to provide all our clients a culturally enriching adventure with many happy memories of their visit. Lastly, I would like to acknowledge that our organisation could not have realized this early had it not been for my friends Aaron Westerby, Dominic Haffner, Jay Khadka, Jean-Pierre Burdet; Mitchells & friends' misadventure Australian bridge team; and all the previous trekkers who have encouraged me to pursue this venture during their trekking and tours with me in Nepal. Beautiful Moments Be With You! Why Trek with Adventure Samsara? We have specialized guides in different fields: Alpine, Culture, History, Religion, Flora & Fauna, Arts and Spirituality. You can choose a guide as per your fields of interest. We are storytellers, teachers, and healers; bridges across cultures and, above all, good listeners. We a small company, not a big corporation, this enable us to deal with you personally as your field guide. We care deeply about the environment as much as we care about making your Himalayan dreams and desires come true. You'll find our prices offer great value for money and they compare very favourably with other trekking companies. After each trek/tour we seek feedback from our clients on how we can improve our service. In the off-season we spend time updating our knowledge and skills. Above all, we are for Nature Conservation and Eco-cultural Tourism.